Apex Legends fans that jumped right into the battle royale’s inaugural Battle Pass likely got the fright of their lives on release day. 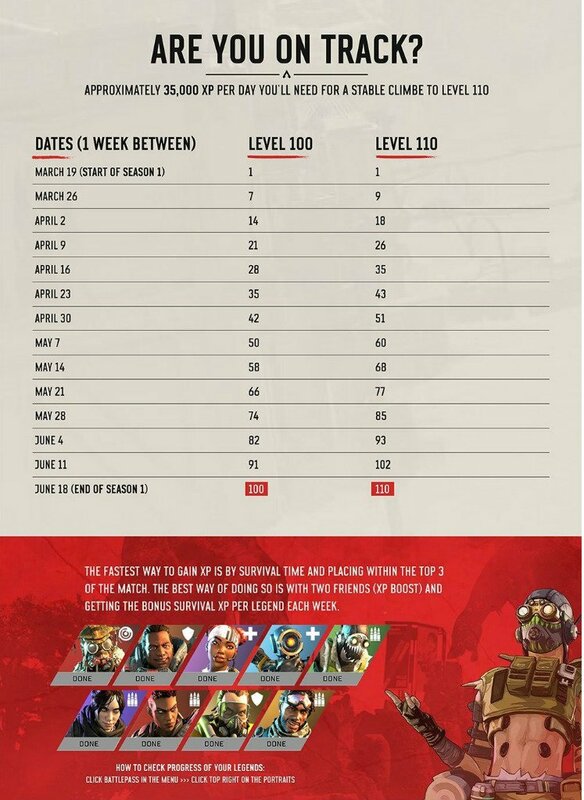 Running for 90 days from March to June, Respawn’s first stab at the now-standard genre feature spans 110 ranks that each require 29,500 XP to level up. To provide some wider perspective on how much you’ll be expected to play in order to hit that coveted 110 milestone, nothing short of 3,245,000 total XP will be required to achieve 100% completion. An eye-watering figure, no matter which way you spin it, but fear not – the climb is much more reasonable when divided and digested in chunks. 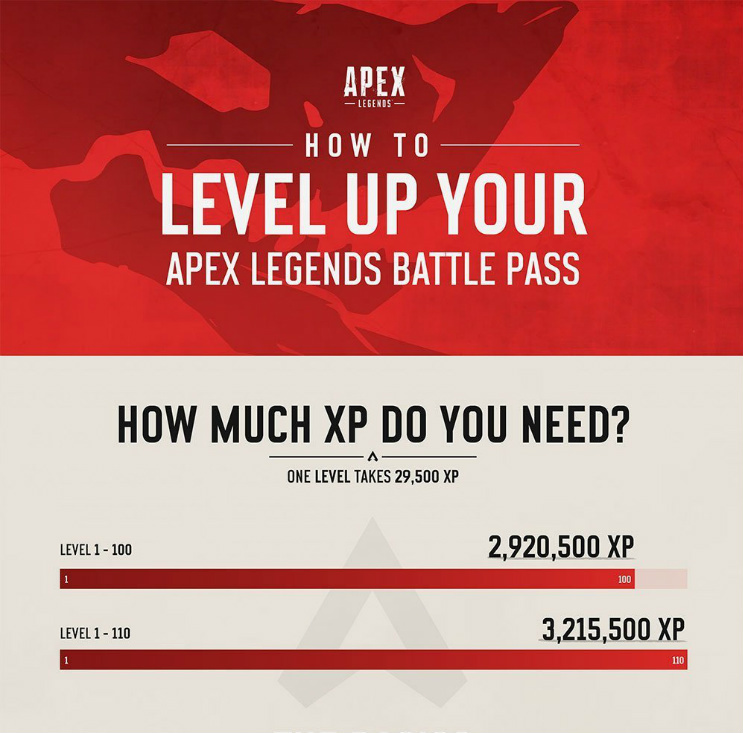 Would-be statistical analysts over on Apex‘s official Reddit have already provided a handy breakdown of the various activities required to accrue experience points in a timely manner, but a new infographic put together by GamingFeature goes the whole hog on the number crunching to serve up every invaluable morsel of info you’ll need to hit 110 before the season’s end. 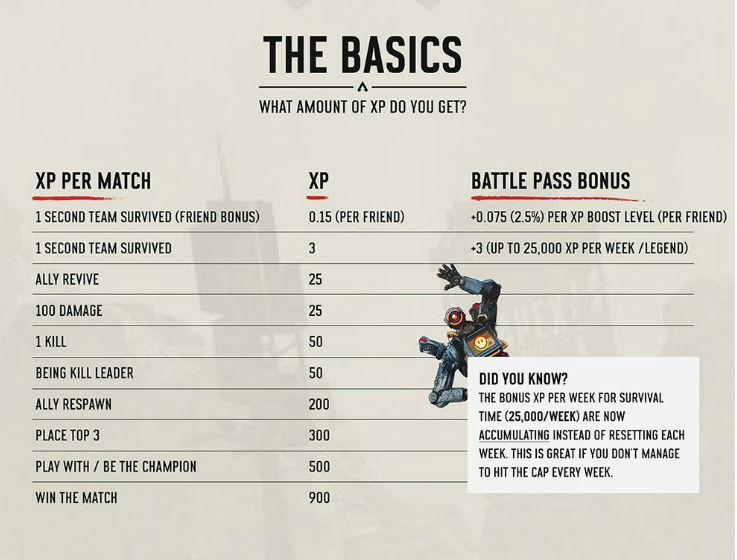 As many will have already sussed, reaching the weekly survival XP cap for each Legend is the most reliable method of generating Battle Pass progress, but just how much should you be accruing – as a bare minimum – to ensure you don’t fall short come June? According to GamingFeature, gaining a minimum of 35,000 XP a day is all that’s needed to hit rank 110 by the end of the season or, to put it another way, maxing five Legends’ bonus XP per week will see you comfortably over the finish line. 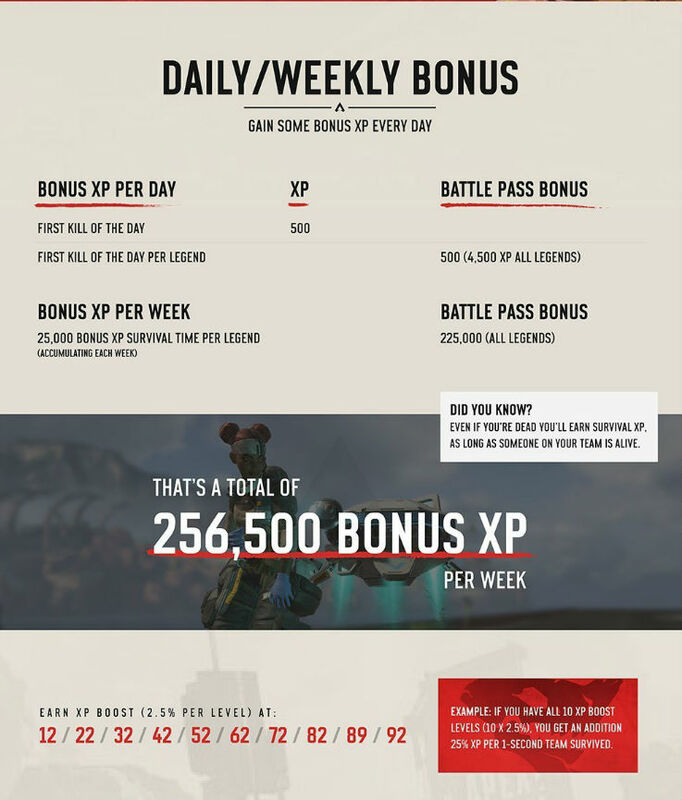 For those willing or able to put in up to 20 hours per week, rank 110 can be achieved in a rough window of 7.5 weeks off the back of survival experience alone, not taking into account first kill of the day bonuses or first-place finishes. 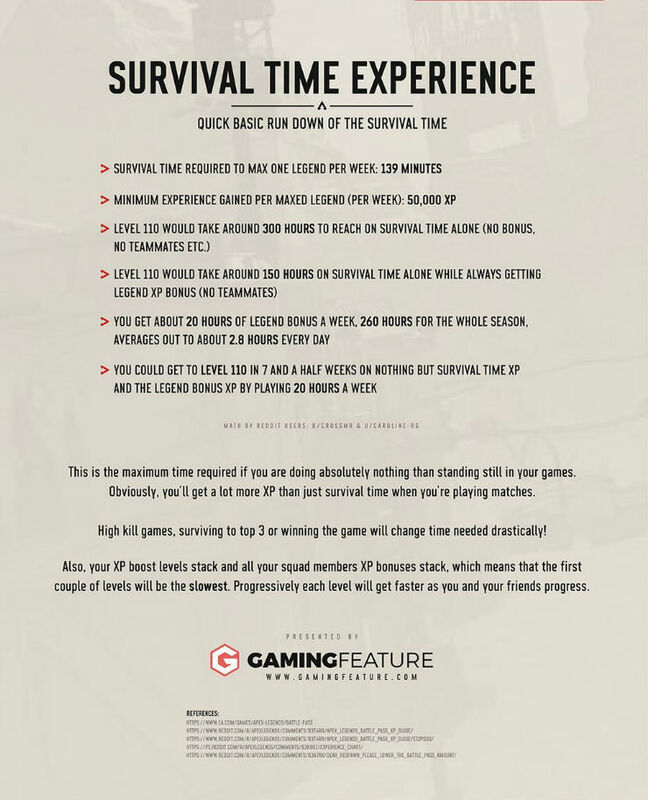 As a bare minimum, less than 2 hours of play per day will award enough survival and bonus XP to push you over the edge. Not as bad as some first thought, then, but will the above be enough to encourage you to shoot for that exclusive Havoc weapon skin, or is Apex Legends‘ first Battle Pass still not for you? Let us know in the comments section below.